Just 10 years ago, audiophiles would have scoffed at the notion that headphones would start to dominate the audio world. Fast forward to today and you’ll find more and more retail space being allocated to an increasing number of new headphone models. It seems as though a new company joins the headphone movement every week. 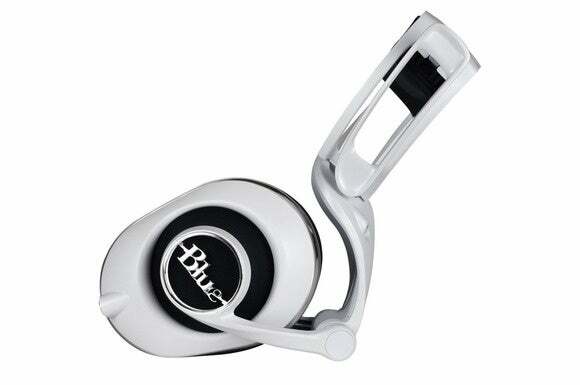 Blue, with its 20 year-pedigree of building recording-studio gear, joined the party in late 2014 with its $350, self-amplified Mo-Fi headphones. This year Blue dropped the amp—but nothing else—to create the less-expensive ($250) Lola. The Lola is an over-the-ear, sealed back design. A sealed design is great because it blocks out or dampens unwanted outside noise, revealing subtle nuances that you ordinarily wouldn’t hear with traditional speakers. The heart of the Lola’s sound reproduction is a 50mm, fiber-reinforced driver. From seismic depth charges in movies to nuanced musical notes, the Lola has you covered. Its rated frequency response goes from 15Hz to 20kHz. The Lola is certified for use with Apple’s complete iOS product lineup. If you’re an Apple user, this certification is important because it gives you the confidence that the Lola will work flawlessly with your mobile Apple gear. This isn’t just an issue of the headphones being sensitive enough to be driven easily with the tiny amplifiers in mobile devices. It ensures that the in-line controls for play, forward, and back work properly, and that the in-line mic works with your iPhone, iPad, and Siri. My contact at Blue says they’ve seen these in-line control features work with some Android devices, but the company offers no guarantee that they’ll work with yours. You can still listen to music with the Lola plugged into an Android phone or tablet, of course; you just might not get the benefit of the mic and the buttons. The in-line mic and transport controls are designed for iOS devices. Blue offers no guarantees that they’ll work with Android devices. The Lola headphones must have come straight out of the Grid from the movie Tron, or at least been inspired by some 1960’s sci-fi flick. The digital-age design is unlike any other headphone you’ll set your eyes on—except for the Mo-Fi, that is. Millennials are sure to find these phones attractive; other generations—well, Lola might not be their style. 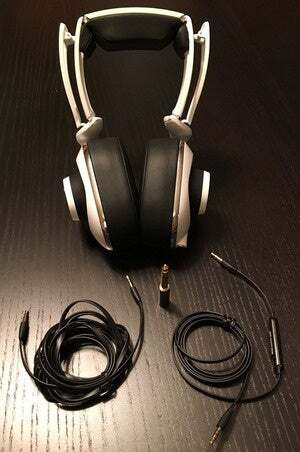 Most headphones have just a few points of adjustment. We’ve all experienced it. You can expand the left or right earpieces and… that’s it. In some instances, fitting the earpieces to their logical length makes the headphones too tight. If you try and adjust them, then they become too loose on your head. It becomes a never-ending series of compromises. Not so with the Lola. The Lola is the most adjustable pair of headphones I’ve ever set my hands on. Blue calls the Lola’s frame a “multi-jointed headband.” The top section has a short, slightly curved head-piece that’s flanked by independent, expanding side bars. These side bars then connect to thinner arms that have an adjustable elbow that allow you to independently adjust each earpiece up or down without impacting the fit on the top of your head. 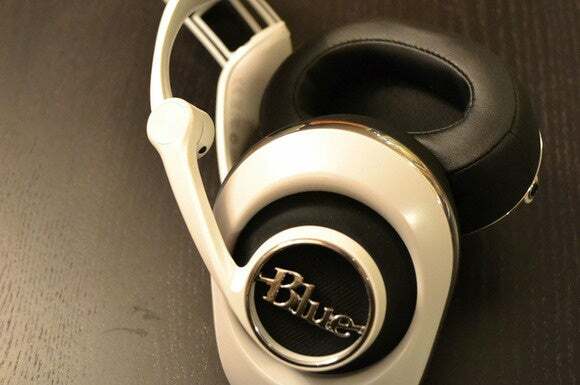 Blue’s Lola headphones are remarkably adjustable. 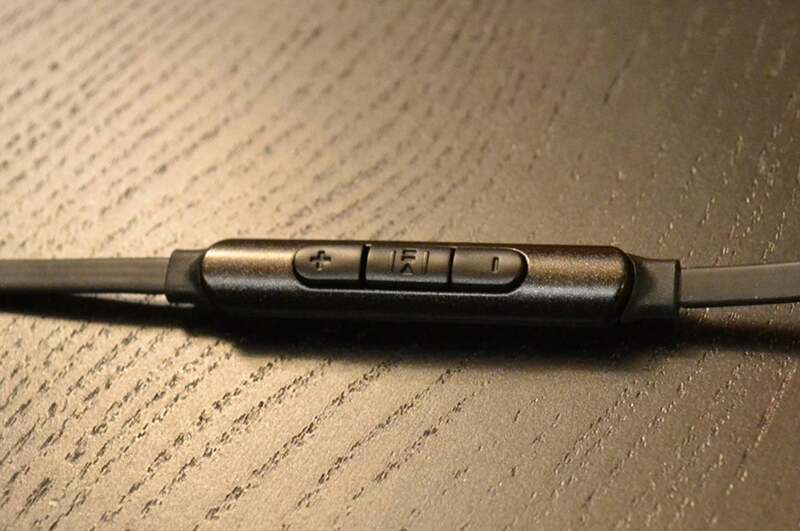 I want to reinforce that the ability to adjust these headphones isn’t just up and down. Adjustment is so flexible that it allows you to fine-tune the placement of the headband on the top of your head without messing up the ear cups. I was able to shift the headband to the front or the middle of my head without losing the precise placement of the cups. The practical application of the adjustments extend to when you have the headphones around your neck. How often have you had a pair of headphones that fit fine on your head only to have the ear cups annoy you while resting on your neck? With the Lola, you can expand the ear cup section to extend the ear cups away from your neck. Ironically, with so much adjustability, the ear cups themselves don’t pivot. I’m not sure if the team at Blue concluded it wasn’t needed, but this is an odd omission considering all the adjustability that is offered. The headphone frame is one of the most solid that I’ve handled. All parts above the ear cups—from the lower arms up—are fabricated from aluminum. Blue says they designed the Lola this way for stiffness and strength; to optimize the suspension system and to give a precision feel to the mechanism. The entire frame is covered with a 20-gloss, hard-coat polyurethane paint that gives the Lola a truly beautiful, smooth feel. My review set came in white and it was gorgeous. For an aluminum set of headphones, these things are pretty light. While I wouldn’t call them feather-light, it’s really remarkable what Blue has accomplished here. When you first see the Lola and pick it up, it takes you a second or two to recover because your eyes and sense of touch fool you into expecting a much heavier product when you lift it. As light as these headphones are, I did start to feel their weight after extended listening periods. The Lola’s ear cups are extremely deep, and the memory foam doesn’t compress much. The Lola ear cups have a nice, leather-like feel, but I’m told that the material is actually a premium vinyl, not genuine leather. The company tells me this material provides the added benefit of moisture resistance for durability, cleanliness, and prolonged use. The inside of the ear cup is filled with memory foam. To my eyes, a prominent feature of the headphones is the physical depth of the ear cups. It makes the Lola look a bit bulky as a result. Compared to other headphones, there is a lot of distance relative to where you ears are to the drivers. For example, many of the over-the-ear reference headphones that I personally own from Sony, Sennheiser, and Bowers and Wilkins range from 1/4- to 3/4 of an inch. With some of those headphones, the in-use distance is much less as the foam readily compresses. The Lola’s ear cups are much deeper: 1 and 1/8 inches. The memory foam inside is soft, but it also compresses less, maintaining greater separation between the driver and your ear canal. You immediately notice a sense of space around your ears as soon as you put the headphones on. 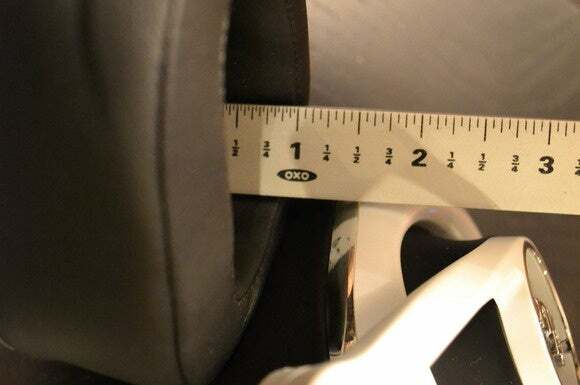 The left ear cup has a standard 1/8-inch input. Two flat, rubber-coated cables are included: a standard cable and an iOS-compatible smart cable with remote controls and an embedded microphone. 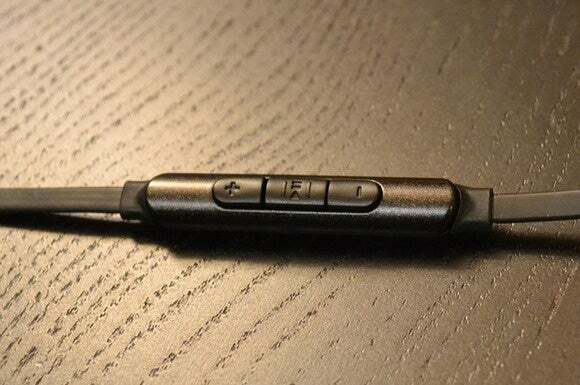 The remote cable has forward, reverse and pause buttons. Depressing the pause button twice skips to the next song. Depressing the button three times plays the previous song. Pressing and holding the pause button activates Siri. Blue provides a very nice soft carry case for when you need to travel with Lola. The pause button is between the forward and reverse buttons. I didn’t like the overall tactile feel of the control. For me, there wasn’t enough space between the buttons, and I found myself sometimes unable to skip forwards or backwards consistently. The button controls don’t match the industrial design of the headphone. A really nice, soft carrying case is included. It has two internal compartments to separate the headphones and cables. 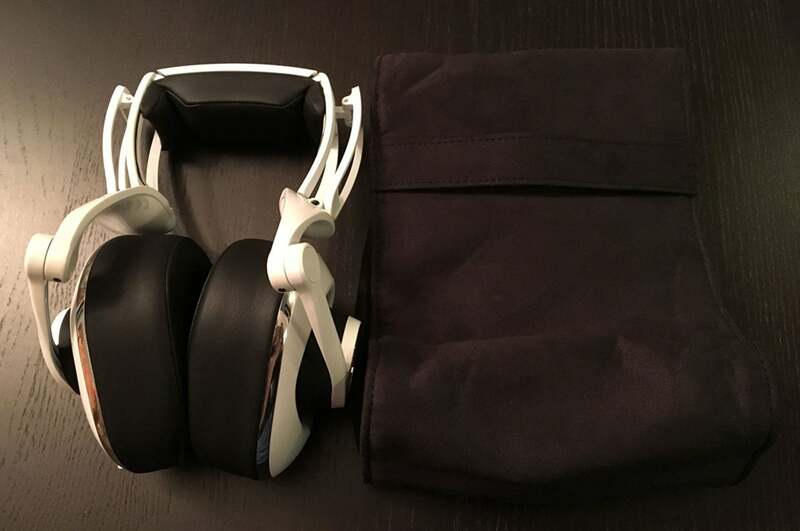 The flap has a magnetic fastener, and the rear of the case has a handle so that you can slide your hand in for a secure hold on the case and headphones. I really liked this case. It made it easy to carry the headphones around. For some, the styling and fit of the Lola alone will compel them to purchase a pair. It will be that easy. For others, it will be all about the sound. Given the Lola’s superb materials and moderate price tag, I was curious to see how they measured up. U2 is one of my all-time favorite bands, and I called up the band’s Joshua Tree album (encoded in AAC format) on my iPhone to see how the Lola would handle the classic album. It was great. Bono’s vocals, for example, came through clear and the timbre was well reproduced. Bass was a real strong-suit in just about every track I played. The Lola’s presented “Running to Stand Still” with excellent instrument separation and a recessed soundstage. It was immediately apparent that the spacing between my ears and the drivers, due to the Lola’s thick ear pieces, afforded a more spacious and less forward musical presentation. This sensation was fairly consistent from track to track. Some people will really like this, while others might not. I think this gives the Lola a distinctive sound. The Lola come with a conventional audio cable and a second cable that has an in-line mic and transport controls for iOS devices. Mating the Lola with higher-end amplification revealed nuances that were masked by an iPhone or iPod. Using the included 1/8-inch-to-1/4-inch adapter, I plugged the Lola into an Anthem AVM50v pre-amp and then a Benchmark Media Systems DAC2 digital-to-analog converter and headphone amp. I streamed albums ripped from CDs and encoded as ALAC files from an iTunes server. Paired with either of those exceptional units, the Lola delivered cleaner and tighter bass; in fact, every instrument came through with higher definition. These headphones sound fine with a mobile device, but a dedicated headphone amp will truly reveal what they're capable of. Over the Thanksgiving holiday, I had a half-dozen of my millennial-generation nieces and nephews check out some of the headphones in my collection. Of all the headphones to choose from, they were immediately drawn to the Lola and couldn’t wait to try them. Even more, they were hard-pressed to put the Lola down. As the headphone space continues to get more crowded, companies will look for different ways to make their headphones stand out. To that end, the competition should take note of Lola. Lola is a bold, distinctive, and futuristic-looking headphone that turns heads and sounds good to boot. On the Lola’s packaging, you’ll find the slogan, “Clearly. Different.” That sums it up. While the Lola’s sound doesn’t quite deal a knockout blow to its more-expensive competitors, you’ll be hard-pressed to find a better top-to-bottom value for $250. You'll be hard-pressed to find a better top-to-bottom value for $250.